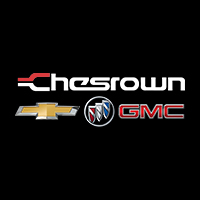 At Chesrown Chevrolet Buick GMC, we carry only Genuine GM parts & accessories so that you get quality parts for your new or used vehicle. 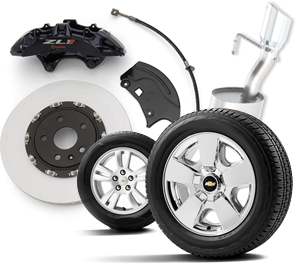 It’s important that your vehicle have the correct parts and accessories so that it can run as efficiently as possible – that’s why we make sure our parts department is stocked with a complete inventory of Certified Chevrolet and GM automotive parts. If you are looking for a GM part or accessory, fill out the short parts form above and one of our knowledgeable parts specialists will take care of your request. Simply by providing us with the information needed above, you can rest easy knowing that our friendly and experienced parts staff will find your vehicle the correct part or accessory it needs. While we keep our parts department fully stocked with genuine GM parts and accessories, the rare occasion does arise where we might not have what you are looking for. If this is the case, we will happily track down the genuine GM part you need and get it for you in no time at all. No matter what year your vehicle is, our parts specialists will be able to get you the part that you need. At Chesrown we want to help you get the best quality parts & the most helpful buying experience around! To help us serve you quickly and efficiently, request a part in the form above and let us know what part or accessory you need! Our experienced staff is ready and waiting to assist you or answer any parts questions you might have. If you find that you have a question, comment, or concern, you can contact us at (740) 203-3110 or talk to one of our experts in person during our regular hours.